Finally! 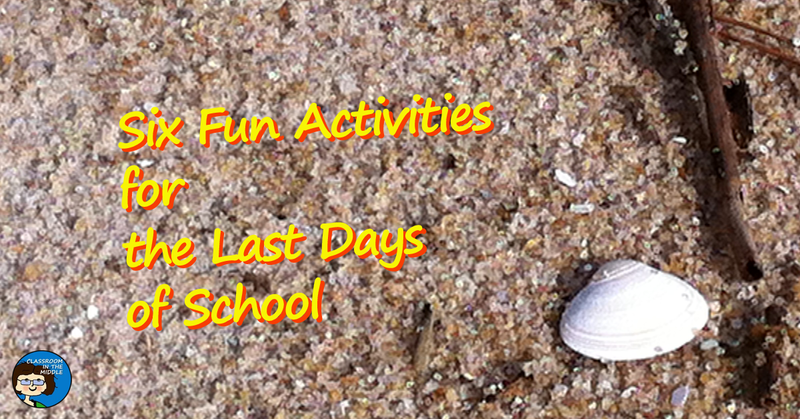 The end of the year is approaching (for many teachers), the testing is done, and it’s time for a little fun. In the last few days of school, class activities can finally focus more on the enjoyment of learning and less on reaching standards. 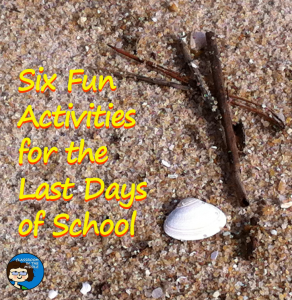 Here are some suggestions for activities that kids enjoy in the last few days of school. Kids love puzzles. If you just can’t spare the time for puzzles during the rest of the year, now is your chance! I like puzzle pages with riddles, words to unscramble, analogies, and other kinds of word puzzles. 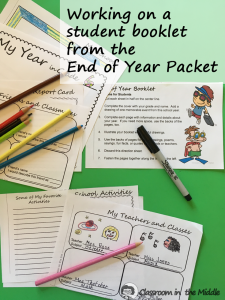 End of year memories, something learned, summer plans and wishes, or just summer itself – all of these basic themes can be expanded into a number of specific writing prompts. These games are fun all year long. I like them to review the “facts” after reading a novel and to review information such as story elements or vocabulary, but my favorite at this time of year is just about all things summer – the beach, camping, bugs, popsicles, vacation, summer reads, etc. This is a perennial favorite, and there are lots of ways to do this one too. 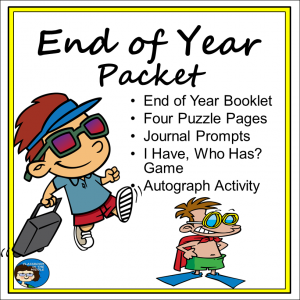 For one simple autograph activity, students complete a sheet of “Exit Interview” questions by talking to classmates, recording their answers, and collecting their signatures. Sometimes, especially as the end of the year approached, you just need a spur-of-the-moment fun activity. Having a few ideas in the back of your mind that don’t require any special materials at all can be a lifesaver at these times. It’s for times like these that I pull out old favorites: trashcan basketball, “hangman” games on the board, and riddles that can be found quickly online. And there’s always the old favorite of taking any set of questions and turning them into a two-team competition. There all in there -in that ole’ teachers’ bag of tricks.